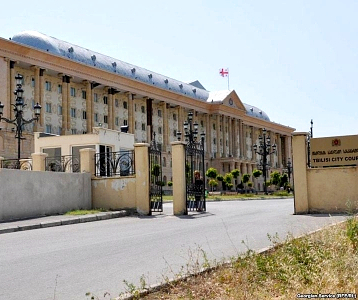 TBILISI, DFWatch–Two Supreme Court judges in the former Soviet republic of Georgia have still not revealed who tried to put pressure on them in a case about the ownership of a large TV station critical to the government. Judges Besarion Arveladze and Paata Katamadze, who told the prosecutor general in a letter that they were being pressured, walked out of a meeting of the High Council of Justice on Friday without making comments to the media. The High Council is a body appointing judges and assessing their performance. Arveladze and Katamadze are presiding in a private lawsuit over the ownership of Rustavi 2, a TV channel sympathetic to the former National Movement party and a constant thorn in the side of the current government. Despite the high public interest, the Prosecutor General’s Office is withholding the text of the complaint letter sent to the office by the two judges. Rustavi 2’s director claims the judges were pressured by the domestic intelligence service State Security Agency to silence the government’s most vocal critical voice, while the prosecutor general claims that it appears that the threats came from a former government official linked with the National Movement. The case caused uproar in a country whose justice system Europe and the United States have spent millions on reforming.